Send orders or inquiries to Jim Bremner, webmaster@dwmi.com or call 310-940-2944. Please e-mail me (Jim Bremner) for NYTS Discounts if you are interested. Jan 3rd Empire Polo Opening Day. June 28th Temecula Valley Polo Club vs California Polo Club and party. Jim Bremner has been a photographer since the age of 10. He has been involved with professional Nature, sports, swimsuit, fashion, and product photography. 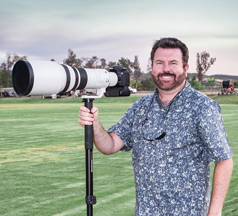 Now he is in his 8th year of shooting polo events. Jim produces content (photos and video) for a series of Web sites including: DesertUSA.com, MarathonBooks.com and PoloBarn.com. Full Resolution Digital Images $95.00 ea. 1000 Pixels Facebook Digital Images $40.00 ea. 5" x 7" - $ 20.00 ea. 8 x 10" - $ 35.00 ea. 12" x 14" - $ 60.00 ea. 16 x 20" - $130.00 ea. Custom Sizes & Photo Books Available. NEW - Mouse Pads, Coffee Cups, Canvas Prints, and Cotton Throw. We also can print on Metal. E-mail or call for a quote. Custom Prints and posters too. Combine series of photos in to one print. See the example below. To order prints or digital files you can visit Polobarn.com gallerys. Send orders or inquiries to lynn@polozone.com Tel. 760-619-2401 or to Jim Bremner, webmaster@dwmi.com or call 310-940-2944. Feb. 22 09: La Quinta - Ohana vs. Carnation Farms. Jan. 30th 09: 8-Goal Semi Final Barrossa vs. Trinity. Dec. 21st '08: Debii $ Conant Memorial Women's Tournament. April 13th 08: Ladies Tournament & Misc. Photos of other leagues. March 22nd 08: Gov. BBQ Party Photos. March 23 08: Stormcat/Deco Tournament 8-12 Goal. 12-Goal - Aspen Oaks vs. Hawks. Denver BBQ Party @ Eldorado. Feb. 24th '08: Jaybird vs. Orepac/Rogue 4-Goal Finals. Feb. 23rd '08: La Quinta PC 8 - 12 Goal. Feb. 9th '08: La Quinta PC 10 - 12 Goal. 10/07/2007 Ladies Tournament @ San Diego PC. 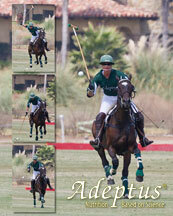 Click here for all La Quinta Polo Club Galleries. March 18th 2007 @ Eldorado PC: All Leagues. March 10th - 12th 2007 @ Eldorado PC: All Leagues. Feb. 16th - 18th, '07 @ Eldorado PC: All Leagues. Jan. 27th-28th, '07 @ Eldorado PC: League Finals 4-, 8- and 12-Goal. Jan. 20th-21st, '07 @ Eldorado PC:All leagues 4-, 8- and 12-goal. Jan. 12th - 14th, '07 @ El Dorado PC: All Leagues, 12-Goal Mid-month finals. Jan. 5th - 7th, '07 @ El Dorado PC: All leagues and Opening Day. Dec. 16 & 17th '06: USPA Player's Cup and Holiday Cup @ Eldorado PC. Dec. 8-10th '06: World Gym Finals @ Eldorado PC. Nov 25th & 26th, 06: Rege Ludwig Clinic @ El Dorado PC. Nov 25th & 26th, 06: Go Honey Tournament. Nov. 12th 06: Road Runner Finals @ Eldorado PC. Oct 8th 06: Ladies Tournament @ San Diego Polo Club. Sept. 30th - Oct. 1st 2006: Spreckels Cup 6- and 14-goal Finals @ San Diego Polo Club. Sept. 22 '06: Crash and Burn Party @ San Diego PC. Sept. 10 '06: 14- & 6-Goal Rancho V. Cup @ San Diego PC. July 8th '06: 8-Goal @ Peralta PC in Ferndale, WA. July 2nd '06: San Diego Polo Club Misc. photos. June 25th 06: John Collura 4- & 8-Goal Finals @ San Diego Polo Club, CA. June 16th, '06: Shoes & Shots party hosted by Dr. Mike Mano and Steve Rauch. April 16, '06: Women's Tournament @ Eldorado PC. April 9, '06: FIP Junior tournament, Eldorado. April 9, '06: Irish Cup @ Eldorado PC. April 2nd, '06: Governor's Cup Finals & John Deere Classic @ Eldorado Polo Club. March 26th, '06: All Leagues @ Eldorado Polo Club. Feb. 26th, '06: PHOTOS of the Finals all leagues @ Eldorado. Feb. 12th, '06: All Leagues @ Eldorado PC. Feb. 12th, '06: Junior Polo @ Eldorado PC. Oct. 30th, '05: Lan Airlines 4-Goal Arena Tournament @ California Polo Club. Oct. 2nd, '05: Spreckels Finals @ San Diego Polo Club. Sept. 25th '05: Spreckels Cup, San Diego Polo Club. Sept. 11th '05: Rancho Valencia Cup Finals, San Diego Polo Club. Sept. 5th '05: Labor Day Arena Tournament - San Diego PC. Aug. 26th, '05: Rossmore photos, San Diego. Aug. 26th, '05: Asado Party @ San Diego PC. Aug. 19th & 21st, '05: San Diego Polo Club Rossmore 4 & 8 Goal. July 24th, '05: 4 & 10 Goal Gutierrez Finals @ San Diego PC. July 17th, '05: 4 & 10 Goal @ San Diego PC. July 10th, ’05: 4 & 10 Goal finals America's Cup @ San Diego PC. July 4th, ’05: Arena Polo @ San Diego PC. June 19th, ’05: San Diego Polo Club. May 28th, '05:San Diego Polo Club 6-goal. April 17th, '05: Women's Tournament. April 3rd,'05: Gov. Cup Finals & other leagues including Juniors. January 30th '05: All League Finals Eldorado Polo Club. Sun. Dec. 19th, '04 - Eldorado Polo Club, USPA Players Cup & Holiday Cup 4 & 8-Goal. Click here to view photos. Sun. Dec. 12, '04 - Eldorado Polo Club, World Gym Tournament. Click here to view photos. Sun. Dec 5, '04 - Eldorado Polo Club, Debii $$ Ladies Tournament. Click here to read more. Sun. Nov. 28, '04 - Eldorado Polo Club, Go Honey Finals. Click here for action shots. Sat. Nov. 27, '04 - Eldorado Polo Club, Go Honey Week Semis. Click here for action shots. Sunday, Nov. 20, '04 - Eldorado Polo Club, Go Honey Week 1. Click here for action shots. Sunday, Nov. 14, '04 - Eldorado Polo Club Roadrunner Tournament. Oct. 10th '04: Poway Arena Tournament. Click here to view photos. Sept. 26th, '04: Spreckel's Cup Finals. San Diego Polo Club. Click here for more info. FIP World Cup '04 Chantilly France. Click here for results & photos. Aug. 29th '04: Santa Barbara Polo Club Pacific Coast Open 2004. Click here to view photos. Aug. 15 th '04: San Diego Polo Club Surf Cup Finals. Click here to read results. Aug. 8th '04: Gilroy, CA: Silicon Valley Polo Club Hosts 0-2 Goal Tournament. Click here to view photos. July 4th, '04: Buffalo Ranch Arena Tournament, Murrieta, CA. Click here to view photos. May 9th, '04: USPA Players Circuit Cup, Santa Barbara Polo Club. April 17th & 18th, '04: Women's Tournament. April 10th & 11th, '04: FIP Junior Polo Tournament. April 10th & 11th, '04: Irish Cup Finals. April 3rd & 4th, '04: Governor's Cup Finals. March 26 -28th '04:Action photos from ALL leagues. March 20 - 21st -Click here to view photos of all leagues. March 13-14th - no photos available. March 6-7th, '04: Seniors Tournament. Click here to view photos. Feb. 28 & 29th '04: Eldorado Feb. Finals & Misc. Click here to view photos. Feb. 21st, '04: Various Leagues. Feb. 15th, '04 - Leather CPR Crash & Burn Awards. Feb. 14-15th, '04 - 14-Goal Finals and Feb. Leagues. Jan. 31 - Feb. 1, '04: January League Finals Click here to view photos. Feb. 1, '04: Super Bowl Party at Eldorado Polo Club. Click here to view photos. Jan. 24 - 25th, '04: 2-Goal, Coaching League and Junior Polo Galleries. Jan. 16-18th, '04: 14-Goal Finals and other January Leagues at Eldorado Polo Club. Click here to view photos. Jan 10-11th, Opening Day at Eldorado Polo Club. Click here to view photos from all leagues. Dec. 21st '03, USPA Player's Cup. Click here to view photos. Dec. 14th, '03: World Gym Finals Eldorado Polo Club. Click here for details. Dec. 6th - 7th: Debii $$ Women's Tournament. Click here to view photos. Nov. 29th - 30th, '03: Rege Ludwig Polo Clinic Click here to shop for more photos. Nov. 22-23rd, '03: Eldorado Polo Club - Go Honey Click here to shop for more photos. Oct. 18, '03 - Poway Polo Club, Sherman Memorial Tournament. Oct. 12, '03 - Playa Grande Polo Club, Arena Tournament. Oct. 12, '03 - Wickenden Cup Final, Santa Barbara Polo Club. Sept. 28th, "03: 14-Goal Spreckels Cup Finals at San Diego Polo Club. Click here to continue reading and to view photos. 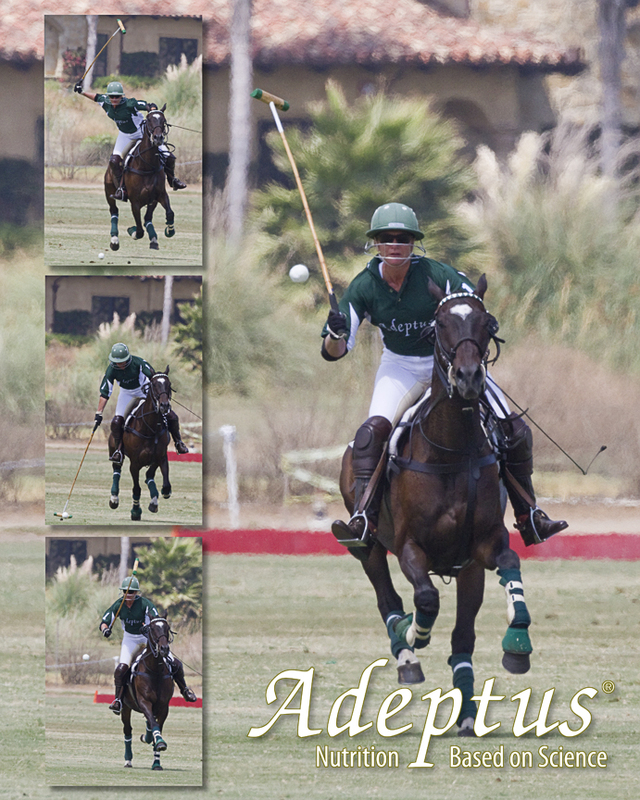 Sept. 28th, "03: 0-2 Goal Photo Gallery at San Diego Polo Club. Click here to view photos. April 13th '03 - Eldorado Women's Challenge. April 5 & 6th, 2003 -FIP/Eldorado Junior Polo tournament. Governor's Cup Finals 2003 -March 28-30th - Click here to view photos. Governor's Cup Casino Party - March 22, '03. Click here to view photos. March 21-23 - Skins Finals, Governor's Cup & 2-Goal. March 15, '03 -Officer's Cup Finals. Skins & 2-Goal. March 9th, '03 -Skin's, Officer's Cup & 2-Goal. February 23rd, '03 Finals Eldorado Polo Club. February 9th, '03, Eldorado Polo Club. February 2nd, '03, Eldorado Polo Club. January 24th, 25th, & 26th, '03. All January Leagues.Click here to view photos. January 18th & 19th, '03 All January Leagues. Click here to view photos. January 11th & 12th, '03 All January Leagues. Click here to view photos. Jan. 4rd & 5th, '03. Click here to view photos from all leagues. Dec. 15th, '02: The World Gym Finals, . Click here to view photos. Dec. 8th, '02: Debii $$ Western Women's Tournament, Click here to view photos from this tournament. Dec. 01, '02: Go Honey Finals . Click here to view the photos from this tournament. Click here for an index of older photos/events. Lynn Bremner has been a sports photographer specializing in polo and equestrian events for the past 10 years. She has recently started to photograph golf events and tournaments. Lynn also writes articles, blogs and produces content (photos and video) for a series of Web sites including: DesertUSA.com, DesertCADDIE.com, PoloZONE.com and DesertRoadTRIPPIN.com. To order reprints you can e-mail your order. Please make all checks payable to PoloBARN, call or email for mailing address lynn@polozone.com. Back to PoloZONE.com Main Site.